The Celestron NexStar 130SLT is a perfect example of why I don’t recommend small, inexpensive GoTo telescopes to beginners. It sounds good on the cover, but we all know not to judge books by their covers. Let me warn you up front: if you’re looking to get a reassurance after seeing fairly well review and ratings on Amazon, this Celestron NexStar 130 SLT telescope review isn’t going to be one. The setup as usual for this series is fairly easy, especially with the pre-assembled tripod. 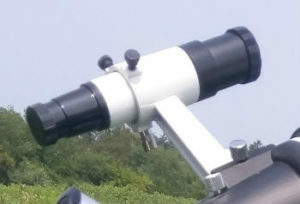 The 130SLT is a standard 130mm f/5 Newtonian like the Orion SpaceProbe 130ST, Zhumell Z130, and others. It comes with a 25mm 1.25” Plossl eyepiece with 26x magnification, which is good for low power. It also comes with a 9mm Plossl eyepiece(72x magnification) for medium-high power. The 130SLT’s 5.1” aperture is enough to show a fair amount of detail on the Moon and planets, and does decently well on deep-sky objects. However, it must be collimated well in order to deliver good views. This is a challenge for beginners due to the fast focal ratio and crude adjustment mechanisms. The optics are aluminum multi-coated glass parabolic mirror which improves light transmission and contrast. Now you can enjoy deep sky viewing with so much detail, crispness and clarity. How Inadequate Is The Mount? The NexStar SLT mount is simply too small for the 130mm OTA; it wobbles. At high power, it’s too shaky to see anything. Also, the shakiness affects the accuracy of the GoTo. This is a serious flaw, and one of the biggest reasons why I do not really recommend this telescope. The OTA comes with a Vixen dovetail so it can be moved to a steadier mount, but then you’ve got a useless, expensive, undersized computerized mount lying around. The NexStar SLT mount is also incredibly antiquated, having been around (originally known as the GT), without significant modifications, for around 15 years. The hand controller’s small buttons are difficult to operate with gloves on, and one must enter the time and date every time you set the scope up – something that could be fixed with an internal clock costing a few dollars. 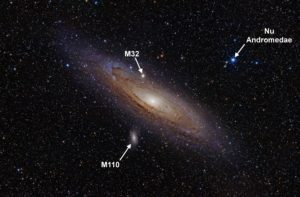 Entering the location of the scope if you go somewhere is a complicated process, taking away from the convenience of a lightweight and compact telescope like the 130SLT. The motorized mount operates on eight AA batteries which can be very costly and can pose inconvenience if you want longer observation. You’ll need an expensive, heavy 12-volt power supply to avoid burning through AA batteries constantly. The SLT mount can be moved in altitude quite easily by hand and is very easily bumped due to its light weight. But thanks to the simple encoder technology in the mount it will have to be rebooted and re-aligned if you bump or manually move it in the slightest. With a focal length of f/5, this is definitely a very fast scope which can be very beneficial especially during astrophotography of near objects like moon and the planets. However, you need to purchase a camera adapter and T2 ring to use it for astrophotography. But since it uses altazimuth mount, forget about long exposure astrophotography. It has several alignment procedures that you can choose from; SkyAlign, Auto 2-star, 1-star, 2-star, or the Solar System so you can decide which works best for you. The “Sky Tour” function often lists objects which are too dim for the 130SLT, making it rather useless. The tripod is made of steel which makes a durable support and can be adjusted. The attached accessory tray has a double function as it not only holds the eyepieces in place but also acts as an added support in ensuring stability and absorbs some of the scope’s vibration, which is pretty common with this model. Simple hacks can be employed to minimize the shaking like setting it up in grass or dirt, using vibration pads or even on a piece of an old carpet. Placing a little sandbag on the accessory tray can also help. If this were 1998 or even 2008, I would probably forgive Celestron for the countless technical difficulties I’ve mentioned. But this is 2018. It’s a shame. Between the shakiness, complications, power consumption, and sheer frustration of using the mount, I don’t really recommend this telescope. It will probably disappoint you. The OTA is nice, but that’s pointless without a good mount. 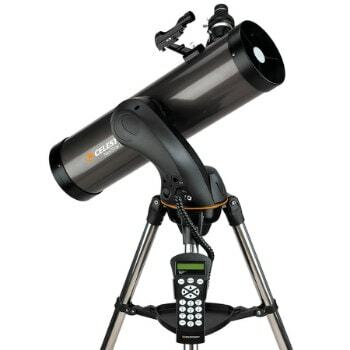 If you like the OTA, get a Zhumell Z130, which is one of our recommended telescope below $300. With overflowing positive reviews on the internet, particularly at Amazon where about 50% of the comments giving it a 5-star rating, this review of NexStar 130 SLT might not feel like an icing on the cake. But it’s what is is. Thanks, at last, for a realistic review. The StarNavigator NG scopes are actually less well-built than the NexStar SLTs, and I would hesitate to recommend either.